WASHINGTON, D.C. -- Federal Communications Commission (FCC) Chairman Tom Wheeler will speak at the 2015 NAB Show in Las Vegas, the National Association of Broadcasters (NAB) announced today. The address, which will be held Wednesday, April 15, 9:00-10:00 a.m., is expected to provide insight into the FCC�s policy and regulatory objectives related to broadcasting, technology and communications law generally. �This is a great opportunity for NAB Show attendees to hear first-hand from the FCC Chairman on the FCC�s progress on the TV spectrum incentive auction and a host of other items currently under consideration at the Commission,� said NAB President and CEO Gordon Smith. 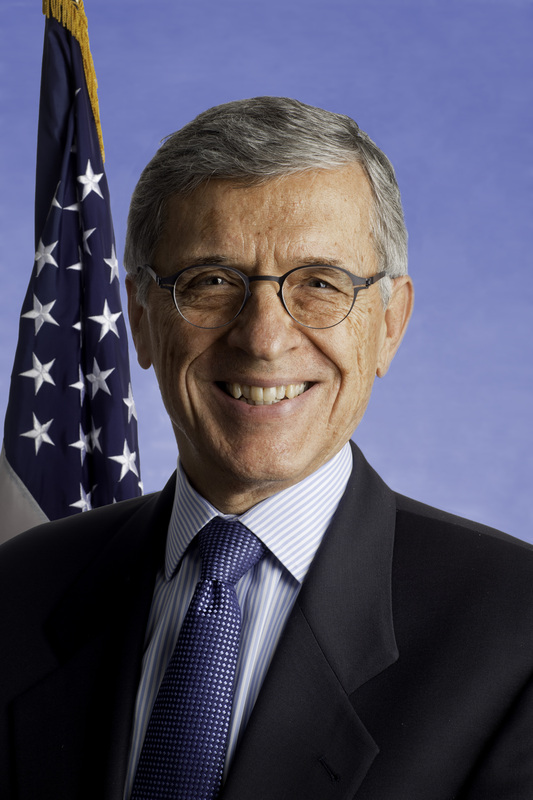 Tom Wheeler became the 31st Chairman of the Federal Communications Commission on November 4, 2013. He was appointed by President Barack Obama and unanimously confirmed by the United States Senate. Prior to joining the FCC, Wheeler was Managing Director at Core Capital Partners, a venture capital firm investing in early stage Internet Protocol (IP)-based companies. He served as President and CEO of Shiloh Group, LLC, a strategy development and private investment company specializing in telecommunications services and co-founded SmartBrief, the internet's largest electronic information service for vertical markets. From 1976 to 1984, Wheeler was associated with the National Cable Television Association (NCTA), where he was President and CEO from 1979 to 1984. Following NCTA, Wheeler was CEO of several high tech companies, including the first company to offer high speed delivery of data to home computers and the first digital video satellite service. From 1992 to 2004, Wheeler served as president and CEO of the Cellular Telecommunications & Internet Association (CTIA). Wheeler is a graduate of The Ohio State University and the recipient of its Alumni Medal.